Dr. Stephanie Pannell is board certified in General Surgery & Colorectal Surgery. 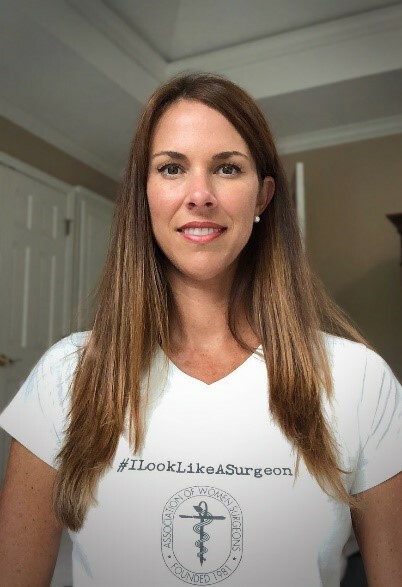 She received her MD from Mercer University School of Medicine in Macon, GA and completed her general surgery residency training at the Atlanta Medical Center and Colon and Rectal Surgery fellowships at the University of Michigan in Ann Arbor and St. Joseph Mercy Hospital in Ypsilanti, MI. She is currently a practicing surgeon at the University of Toledo Medical Center and holds the position of Surgery Clerkship Director at the University of Toledo College of Medicine and Life Sciences. I first met Dr. Pannell as a first-year medical student at our medical school chapter of AWS's annual physician mixer dinner. I was sitting at her table as we were encouraged to discuss a scenario about gender inequality in the workplace where a male colleague was making more money than a female colleague. And I will never forget how quick we young medical students were to say, "Go directly to the boss and stand up for yourself, demanding equal pay!" Dr. Pannell quickly jumped in to reel in our emotions and asked us to reconsider our approach. She emphasized "doing your research." Is this actually true? How is performance being evaluated? What could be the reason the male coworker has a higher salary? She told us to "be smart," i.e. take the necessary steps to prepare for an informed discussion with our superior rather than simply an unsupported demand. In other words, Dr. Pannell suggested we be solution-focused as opposed to problem-focused. I worked more with Dr. Pannell when I became the President of our medical school AWS chapter. Dr. Pannell had just taken over as our faculty advisor, and we met up to discuss our organization's plans for the upcoming year. Her focus was to make our image and events appealing to both males and females. She wanted to ensure we were not segregating ourselves from men, unnecessarily creating tension between genders rather than creating a supportive network. She emphasized making the movement toward gender equality more of a camaraderie between the sexes, delineating the benefits of an egalitarian working environment to our members. This allowed us to achieve our highest male membership rate since the inception of the group. It is for these reasons that, when asked to shine a spotlight on a mentor, Dr. Pannell was the first physician to come to my mind. When I began medical school and wanted to pursue a career in surgery, gender equality in the field of surgery was not a concern of mine. I was fortunate to have grown up around strong women who never suggested to me that my life would be harder because I was a woman. They never catered to the notion that aspiring to work in a male-dominant field was any different than other gender-dominant fields. It was so matter-of-fact that I would have all the same opportunities as my male counterparts, I never thought twice about it being any other way. I just assumed that women's rights battles were a thing of the past, and their hard work had allowed me the freedom to live without that burden. Despite my personal inexperience with direct hindrances due to my gender, a simple PubMed search will give anyone an idea of the scope and breadth of the continued problem. But I like to have a positive outlook and remain optimistic that I may not encounter gender bias in my professional career. When I asked Dr. Pannell if she experiences gender bias, she answered, "The truth is, most of the time, no, but occasionally, yes." Her residency program was predominantly male, and before starting, she wondered if they were going to treat her differently because she was a woman. But as soon as she started, they treated her like just the rest of the team, and she had a great residency experience. Even though it is not common in her practice, Dr. Pannell did share scenarios of microaggressions she encountered. A couple patients from an older generation refused to have her operate on them because she was female. Her advice was, "if you have a patient who is not comfortable with you because of your gender, because of your race, or even your age, the best thing is to find them a surgeon who they are comfortable with and try not to take it personally." Dr. Pannell teaches us not to dwell on trivial things. Trying to convince these specific patients to let you do surgery on them and make them uncomfortable is not the scenario in which we should focus our efforts in changing attitudes and behaviors. Taking it personally can lead us to self-doubt and feelings of inferiority, hindering us from addressing the issue. We students learn from her stories not to internalize situations like these or let it affect the way we perceive ourselves. I have really appreciated Dr. Pannell's approach, avoiding self-deprecating dialogue and focusing on what really matters: education. 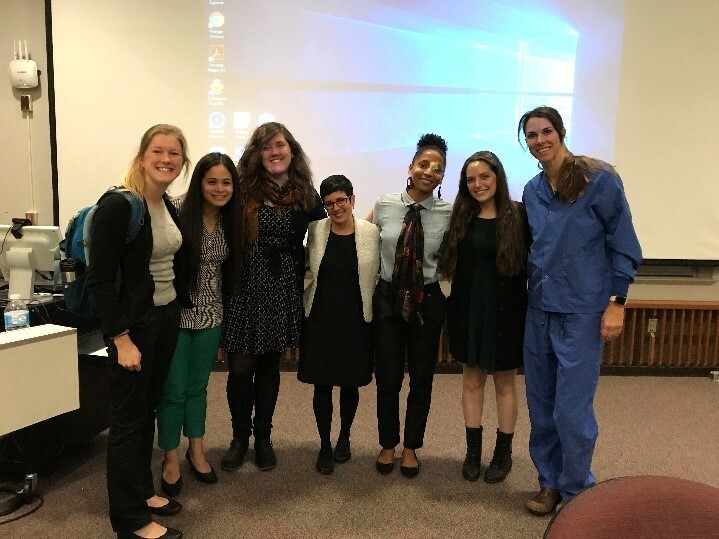 Through inviting guest speakers to highlight direct and indirect biases, standardizing ways of elucidating microaggressions, and keeping an open dialogue regarding experienced and perceived gender discrepancies, we will keep gender bias education on the forefront of the medical community. 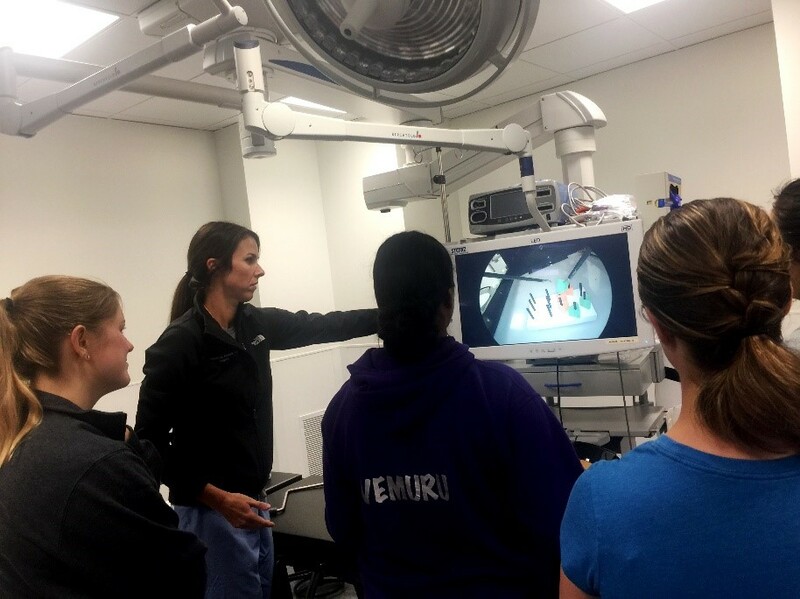 Gender inequity in the field of surgery is still an ongoing battle, but as representation of women in surgery approaches critical mass, we can look forward to an egalitarian work environment. In her medical career, Dr. Pannell has seen society evolve into acceptance of gender equality, and she attributes this mainly to the increase in education on gender bias. While she does not think this evolution is complete, she sees that we as women surgeons have come a long way. We students at the University of Toledo College of Medicine and Life Sciences are fortunate to have women like Dr. Pannell guiding us. Her enthusiasm for surgery has convinced so many to change their career paths towards a life as a surgeon, especially those hesitant to commit to the busy lifestyle. As a former collegiate basketball player, Dr. Pannell is no stranger to a demanding workload. She often reminds her aspiring surgeons that "you can do it all." She recalls that, "Many people used to tell me that 'oh, if you are going to be a surgeon, you can't have a family' or 'you have to sacrifice your happiness,' or things like that, but you can do it all. All it takes is becoming an expert on time management and priorities." Dr. Pannell finds balance in her life by not focusing on having a perfect balance between everything. She takes the time to doing things that are important to her, including spending time with her family, playing a little bit of tennis, and travelling. I think I speak for many students and residents at UTCOM when I say thank you, Dr. Pannell. We will continue to "be smart," to "not take it personally," and to "do it all," despite what obstacles come our way. Andrea grew up in Northern California. After completing her bachelor's degree in Physiological Science at the University of California, Los Angeles, she worked as a medical assistant and then practice manager at a private dermatology practice in Santa Monica, California. While working, she completed the post-baccalaureate program at California State University, Los Angeles, after which she was accepted into the University of Toledo College of Medicine and Life Sciences, Class of 2020. Under her leadership as President of the University of Toledo Medical School Chapter of AWS, her team was honored as the 2018 AWS Chapter of the Year in recognition of their success in providing educational, volunteer, and networking opportunities for their members. 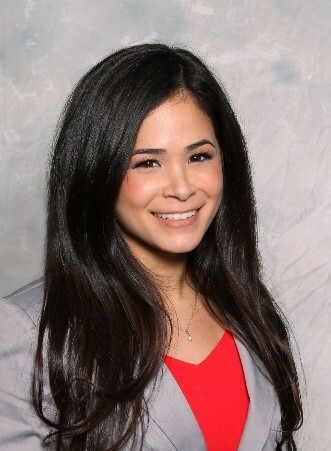 Andrea's area of interest is in orthopaedics, and she works with the University of Toledo Orthopaedic Center, researching surgical outcomes in hand and spinal surgery. In her free moments, she enjoys running, practicing yoga, and FaceTiming her husband, Mark, and her fun-loving puppy, Coco Crisp.